Mother Nature has clearly been dancing to her own rhythm this year. December's early and constant snow falls began our record breaking winter which didn't end until we had beaten almost every precipitation record on the books. January 2-3, 2010 ranks number one with 33.1" snowfall and the third highest occurred with the March "monster" on 6-7, 201 1 with 25.8" of snow. 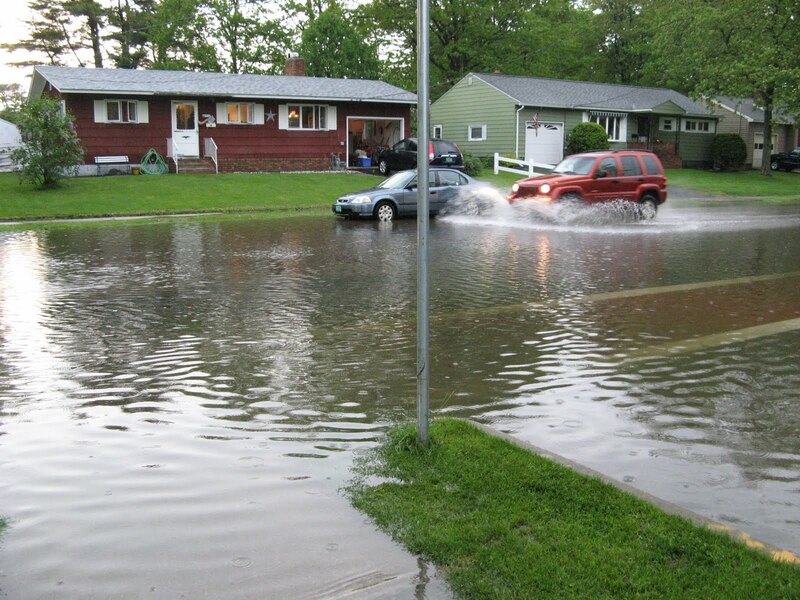 The gradual snow melt in March caused only minor flooding episodes, nothing unusual for a spring in the region --accept for the potholes and ruts that rerouted school buses and swallowed up grown adults. As a skier I was out enjoying some the best snow in my lifetime, putting in amazing spring skiing turns until the end of April. But while the skiers watched the snow melt run down the mountain streams and creeks we could see the rivers slowly expand over farm fields and dirt roads. Mother Nature danced up one storm after another in April. According to the Vermont State Climate Office Climate Impact Summary Report for April there were frequent periods of rain on April, 4-5, 10-11, 16-17, 20, 23, and 25-28. With record and near record rainfall and flooding across portions of northern Vermont during the afternoon of April 26th into the early morning hours of April 27th. ECHO "temporarily" installed a flood cam on April 27th to keep track of waterfront flooding that we thought would only last a week or maybe two. Let's just say we have had to reinforce the duct tape and we certainly would have gigged up a better system had we known what we know now. Now after over a month of flooded yards, rotting buildings, fish spawning in parking lots and battle weary communities, she picks up her pace. 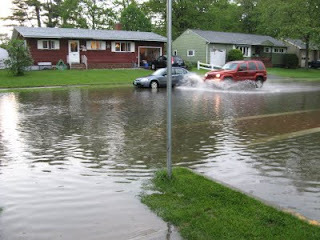 In just one night, May 26, 2011, Mother Nature hit this region with a massive rain dump to rival the 1927 flood. Rivers like the Winooski River in Montpelier jumped their banks at lighting speed. According to the National Weather Service table the Winooski River in Montpelier climbed from 5 feet at 7:15 pm on May 26, 2011 to 17.59 feet at 6:15am on May 27, 2011. That's 12.59 feet in less than 12 hours! Now that's a flash flood. Amazingly, almost as fast as the river has risen, it is leveling off and receding. We know this is due to the high volume of raging water from all the rivers and streams heading down stream to Lake Champlain, already swollen over her banks at 102'+ for more than a month now. We'd hate to classify this as a "routine", but certainly we are all learning how to live with this high water by working together to make the best out of a tough situation. Meanwhile, we're hoping that Mother Nature hangs up her dancing shoes real soon and settles down for a nice, normal spring and summer.